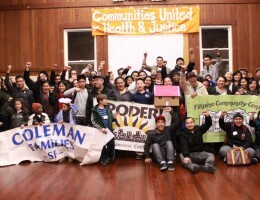 PODER’s mission is to organize with Latino immigrant families and youth to put into practice people-powered solutions that are locally based, community led and environmentally just. 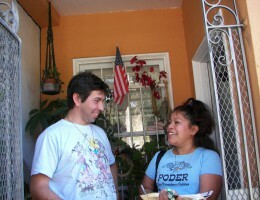 We nurture everyday people's leadership, regenerate culture, and build community power. We organize in San Francisco’s Mission, Excelsior and other southeast neighborhoods, & forge alliances to achieve transformational change. 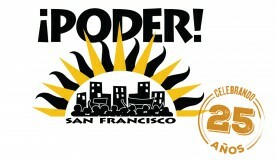 PODER is an inter-generational organization. We organize with families — adults, youth, children and seniors. We are committed to developing a new generation of leaders, particularly Latino immigrant youth, to transform our neighborhoods, the City and society for years to come. 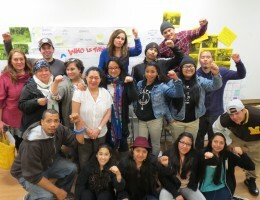 Together, we foster new leaders for movements for immigrant rights and environmental, economic and climate justice. 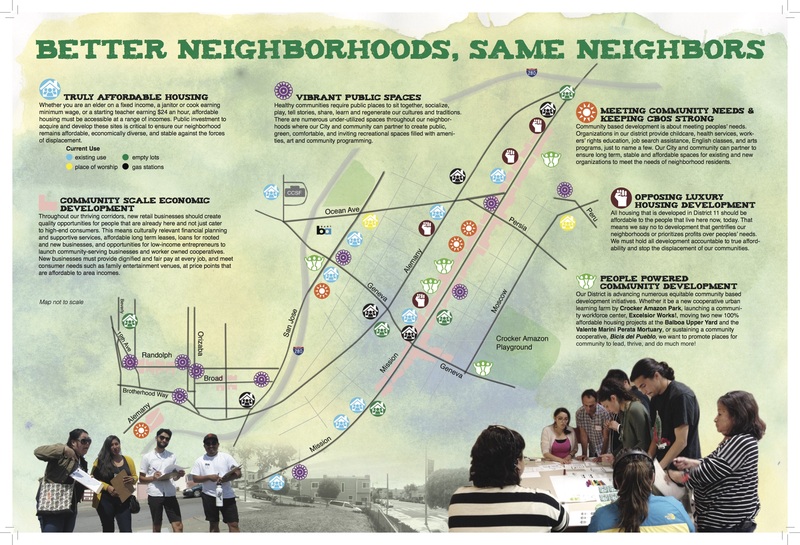 We believe that meaningful democracy can only come about if all communities are actively involved in coming up with solutions to the challenges facing the City. That means removing language barriers for the approximately 34% of San Franciscans who are immigrants and immigrant communities having the right to live without fear of deportations. It also means increasing the civic participation of all. Recruiting members and building community are central to our work. Our members engage in various activities to raise political awareness and challenge the status quo. We aim to build a profound economic and environmental justice movement to heal Mother Earth, sustain localized economies and foster healthy development. We recognize that no single organization can achieve environmental and economic justice on its own. 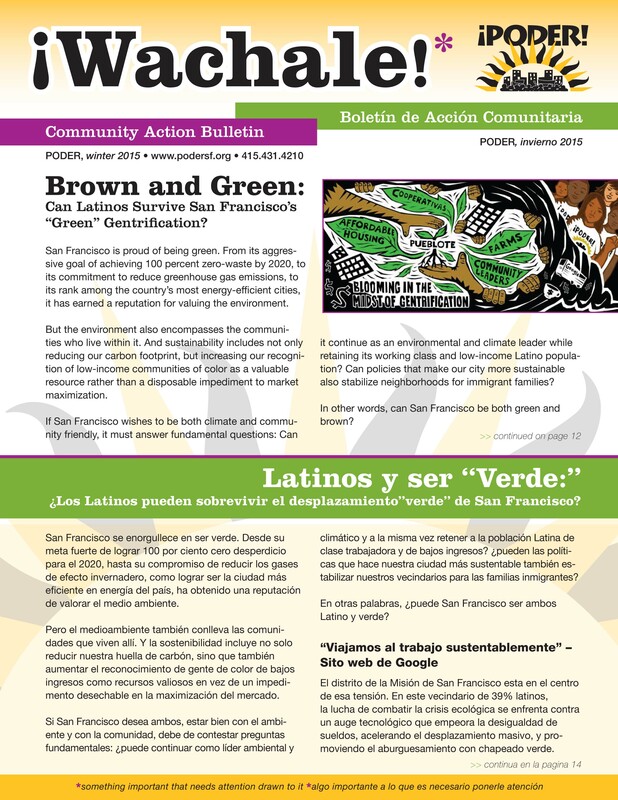 For that reason, PODER forges strategic alliances throughout San Francisco, the state of California, the nation and internationally on broad-based efforts to build a powerful movement for environmental, social and climate justice. 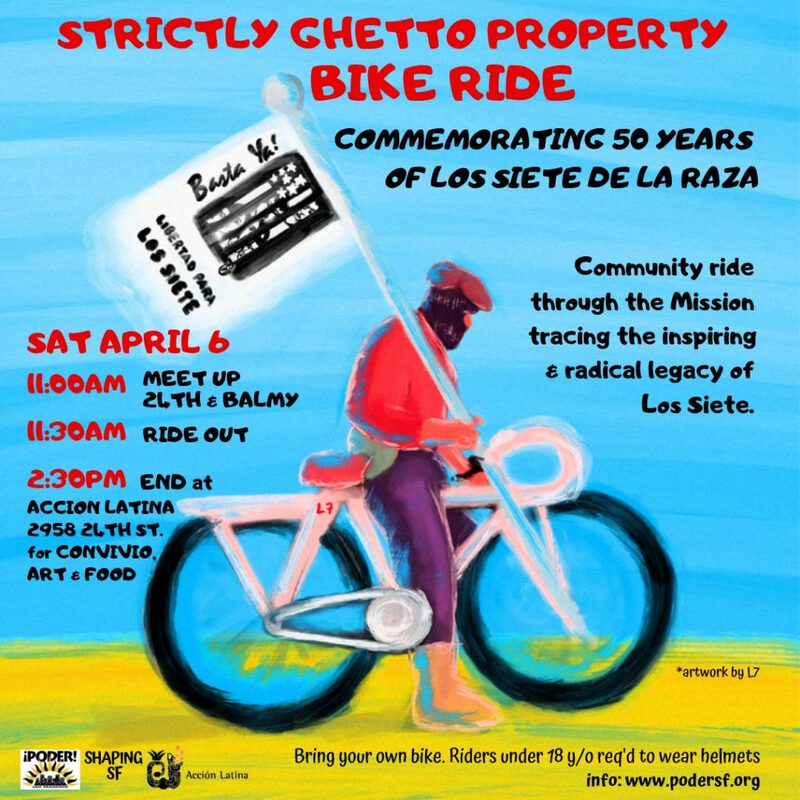 Join us for an easy to moderate pace community ride through the Mission District tracing the inspiring and radical legacy of Los Siete De La Raza. 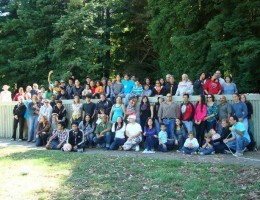 Click here to read El Tecolote’s recent article on Los Siete and upcoming month of activities. 2:30PM END @ ACCION LATINA, 2958 24TH ST.
Join us at the Roxie Theater in supporting Over the Wall, a series of short films and a panel discussion, on Thursday April 25th at 7pm. Can you hear the sounds of resistance ringing in the Excelsior? 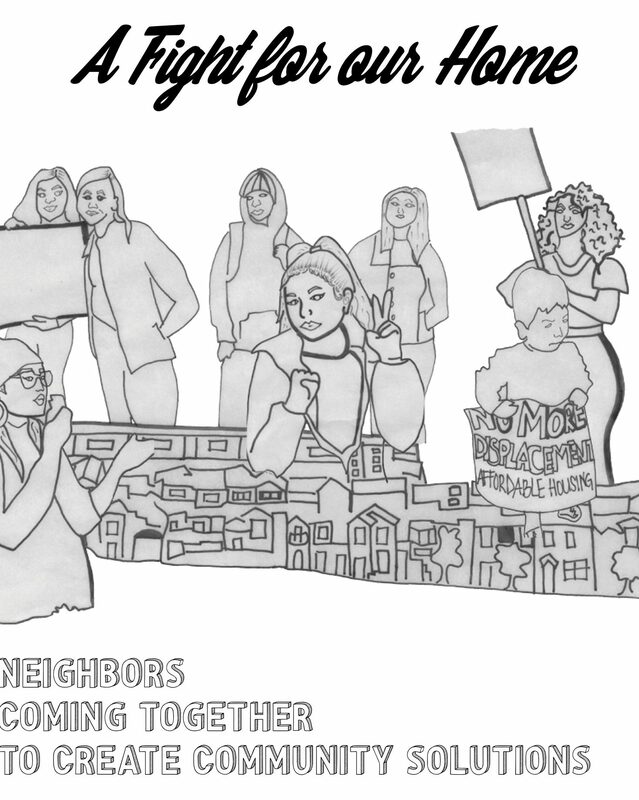 In A Fight for Our Home zine, learn about the sound of neighbors coming together to create community solutions.